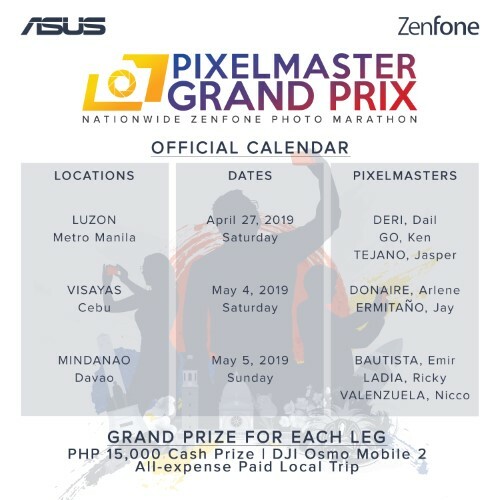 Attention all ZenFone photographers and enthusiasts: ASUS Philippines is holding its first-ever PixelMaster Grand Prix! This nationwide photo marathon is led by respected and celebrated ZenFone PixelMasters: Ricky Ladia for Travel Photography, Arlene Donaire for Visual Story Telling, Jasper Tejano for Street Photography, Emir Kahn Bautista for Wedding Photography, Dail Deri for Conceptual Photography, Ken Go for Portraiture, Jay Ermitaño for Documentary Photography, and Nicco Valenzuela for Landscape Photography. Participants must choose which leg they will be joining. Each leg will have its own theme and participants will be free to roam anywhere on their own during the photo walk-proper. So if you like getting creative with your shot on your ZenFone, then this contest is definitely for you. Up to P50,000 worth of prizes could be yours when you participate in this, the biggest ZenFone mobile photography contest in the Philippines. Registration is free and includes a marathon kit and ZenFone merchandise for all chosen participants. You can visit the official ASUS PixelMaster Class website here, for the complete mechanics and registration. 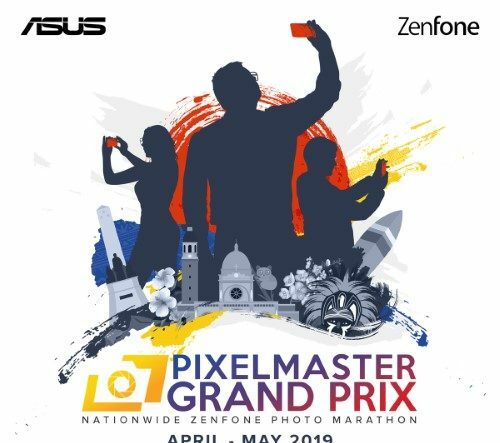 For more information on the PixelMaster Grand Prix and the PixelMaster Master Class, head over to ASUS Philippines’ official Facebook, Instagram and Twitter pages and the ZenTalk forum.